Get first-hand reports on music scenes from around the world. Which ticket offices speak English? Which venues offer online reservations? Which clubs are smoky, hip, venerable, or shady? Where do you find the best jazz, pop, rock and classical? Get the inside scoop on Cairo, an overview of Morcocco, and more to come. 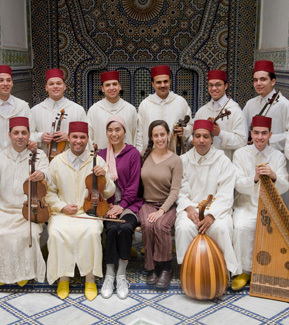 Follow MENA Music founder Kazko Kawai on tour with Moroccan orchestras and more. Discover Andalusian music – what it is, where it came from, and where you can hear it today. 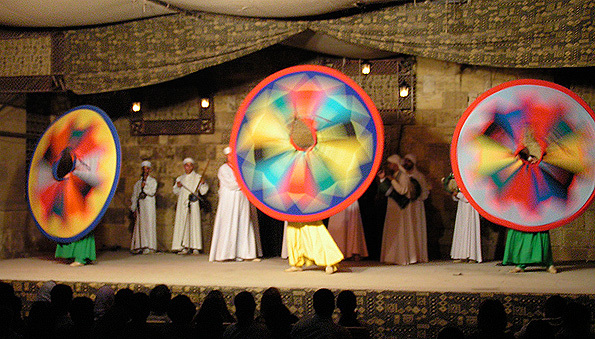 Watch and read about some of the groups that MENA Music has hosted in the past. Prof. Ahmed al-Ghazi passed away on April 30, 2011 in Tangier in a car accident. He was born in 1955 in Tetouan into an old music family. He restored and played his family's rebab that was handed over for 150 years. Prof. Ghazi regularly performed with Temsamani and Cheqara in his 20's and 30's. He continued to teach at the conservatory of Tetouan. Prof. Ghazi toured the USA three times: with Rabbi Haim Louk in 1980's and at the invitation of MENA Music in 2007 and 2009. 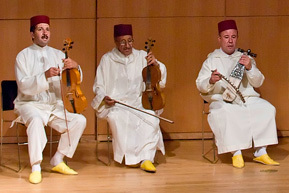 In Morocco, memorial services and concerts in tribute to him have been and will continue to be organized by music fans.